Step 2 In a jug, bowl or mug, add the egg first, then the other ingredients. Beat well until combined. You need to make sure that the peanut butter is softened at room temperature to ensure a good mixture. Pour into the greased ramekin (if pouring into a different vessel). Step 3 Microwave for 90 seconds. Step 4 Eat and enjoy! 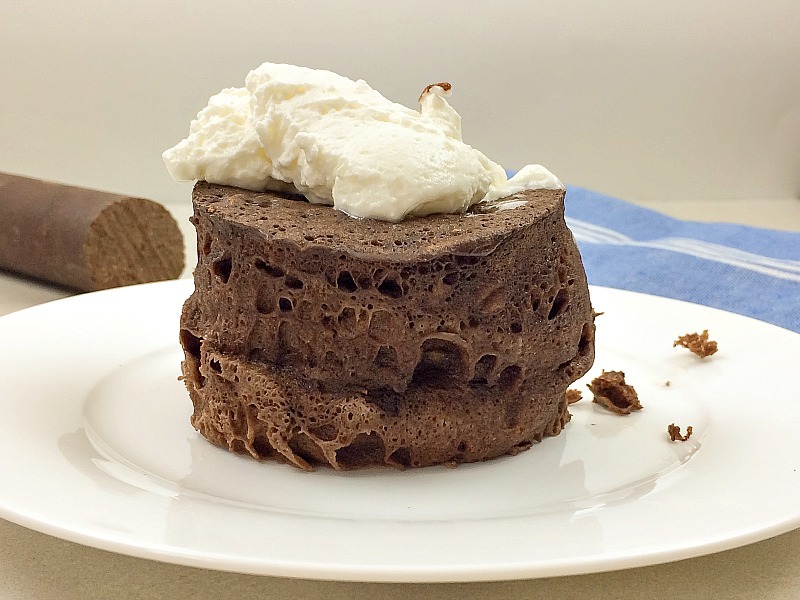 This flourless chocolate cake is very easy to make and takes 90 seconds in the microwave to bake. Perfect for when you need cake in a hurry. Who doesn’t? I have another flourless chocolate cake recipe but wanted to play around with it. I decided to add peanut butter because as well as being delicious with chocolate, it bakes well as nut butters do. If you can use a nut butter for a bread, you can for cake.